Obese and overweight pets are subject to many of the same health problems as humans, including heart disease, diabetes, high blood pressure, arthritis, and certain forms of cancer. Just like in humans, many of these problems can be mitigated or eliminated entirely by losing a few extra pounds. Studies have shown that maintaining your pet’s ideal weight can help extend their life by two to three years. Portion control – Commercial pet foods can vary widely in calorie and nutritional content, as well as the manufacturer’s recommendations for portion size. Always follow your veterinarian’s advice for how much and how often to feed your pet. Exercise – Your pet’s body is built to move, so making sure they get age-appropriate exercise each day is critical when it comes to weight management. Walks, hikes, and games of fetch or feather chase are great ideas. Obstacle courses, agility training, and even obedience training are also unique ways to help your pet burn calories and have fun. Behavior modification – Small changes can help take your pet’s focus off their food. 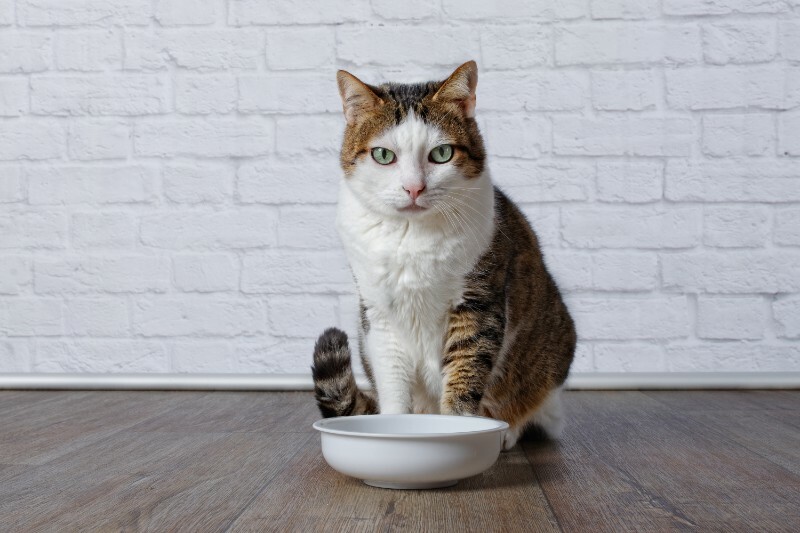 Instead of allowing your overweight pet to have access to food at all times, only place their bowl within reach during mealtimes, and remove it once they’ve finished. Instead of offering a treat as a reward, try praise or playtime instead. Treats – Although it’s fun to give your pet treats, the calories can add up quickly. Talk with your veterinarian about how often (if ever) to give your pet treats, and discuss healthy alternatives, such as small amounts of chopped fresh fruit or plain steamed veggies. Reaching and maintaining your pet’s healthy weight is an extremely important element of pet care, and it can help your companion live a longer, more fulfilling life. Please don’t hesitate to contact our staff with any questions or to schedule an appointment for your pet.